Dave King mentioned this Duke commission when we spoke at the Dakota after The Bad Plus performed there at Christmas. I love the whole idea, plus it seems like a perfectly logical move for a band that has always defied convention but appears to be turning more toward chamber jazz. During the two Christmas shows I attended, there was a lot less tall-tale-telling than in past performances, more serious music-making—not that they haven't been serious before, but there's something about their recent music that feels more serious. Two new compositions by Reid Anderson, "In Stitches" and "Mint," were breathtaking and suite-like. All three members of the band—Anderson, Ethan Iverson, and Dave King—are writing interesting, complex compositions. The wit is still there in the tunes and the titles ("My Friend Metatron," "Bill Hickman at Home"), but the group as a whole seems more grown-up and down to business. Like, once the Beatles were the mop-topped, boyish, antics-prone Fab Four, and then they were the Beatles. L to R: Ethan Iverson, Reid Anderson, Dave King. Photo by John Whiting. February 8, 2011, Durham, NC - The Bad Plus has been commissioned by Duke Performances to create a reappraisal and rearrangement of Igor Stravinsky's iconic Rite of Spring. This undertaking is co-commissioned by New York's world-renowned Lincoln Center for the Performing Arts. The world premiere of this groundbreaking work will be performed by The Bad Plus on Saturday, March 26, at 8 pm in Reynolds Theater in the Bryan Center at Duke University. For the past ten years The Bad Plus-bassist, Reid Anderson; pianist, Ethan Iverson, and percussionist, David King-have created a wealth of critically acclaimed work. With nine releases since 2000, the group has received acclaim from sources such as The New Yorker ("The Bad Plus are the Coen Brothers of jazz"), Rolling Stone ("as badass as highbrow gets"), The Village Voice ("If the stars align, they will mow you down"), CMJ ("somewhere between refreshing and downright awe-inspiring") and Billboard ("purists tremble while the vanguard flocks"). The project sprung from the collective minds of members of The Bad Plus and Duke Performances' director, Aaron Greenwald. The challenge was to transform Stravinsky's iconic orchestral work, one that famously caused a riot at its Paris premiere, into a compelling work for a trio known for bending and breaking genres. While The Bad Plus has previously arranged and performed Stravinsky's "Variation d'Apollon" along with work by Ligeti, Nirvana, Wilco and Pink Floyd, taking on the task of arranging the entire Rite of Spring is both a monumental challenge and part of a natural progression for a group relentlessly in pursuit of the best of music. Composed and arranged over the course of a year plus, the performance will be accompanied by a multi-media presentation by filmmakers Cristina Galvin and Noah Hutton. 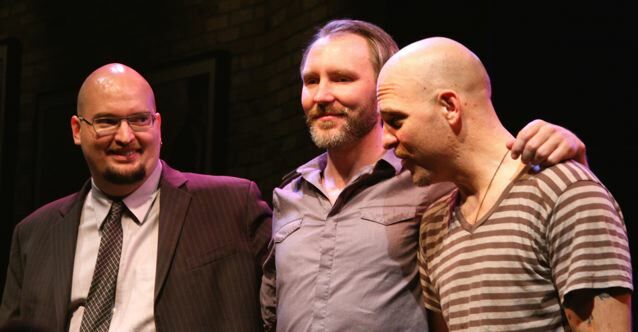 In addition to the foregoing commission, The Bad Plus has been working with Duke graduate student composers and has engaged in artists-in-residence activities both on campus and in the community. The trio's engagement with Duke graduate composition students centers on the group's reading, performing, and critiquing students' original work. This ongoing process, which includes three one-week residencies for the group, will culminate in The Bad Plus performing and recording student compositions. This unprecedented and ongoing commission and residency project represents a bold step for the trio as well as Duke Performances, an organization already nationally known for adventurous, forward thinking programming.